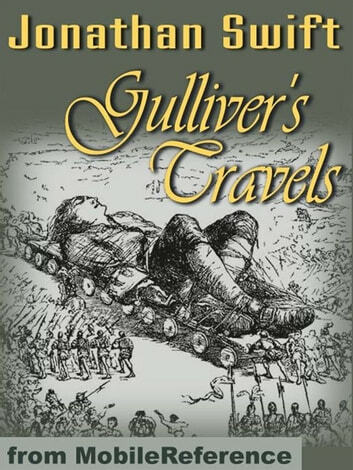 Gulliver&apos;s Travels (1726, amended 1735), officially "Travels into Several Remote Nations of the World, in Four Parts. 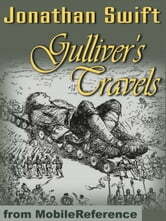 By Lemuel Gulliver, First a Surgeon, and then a Captain of several Ships", is a novel by Jonathan Swift that is both a satire on human nature and a parody of the "travellers&apos; tales" literary sub-genre. It is Swift&apos;s best known full-length work, and a classic of English literature.The book became tremendously popular as soon as it was published (John Gay said in a 1726 letter to Swift that "it is universally read, from the cabinet council to the nursery"), and it is likely that it has never been out of print since then. Excerpted from Wikipedia, the free encyclopedia.